These days some would say it’s controversial to pull a horses mane. I still do it and think it’s the best way to sort it out. One of my current horses hates it, previous horses have simply fallen asleep while I’ve been doing it. 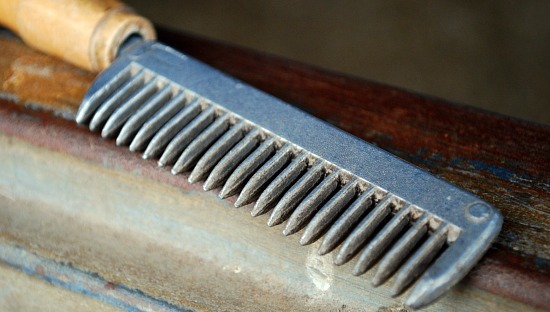 You can get humane pulling comb devices, personally I’ve never used them. Some people choose to cut their horses mane, but for showing I feel this looks unnatural and will be something the judges probably mark you down on. Also by pulling the mane you tend to thin it out – for some horses this means it doesn’t look so chunky.